Well, we are already sending the kids back to school soon. What happened to the summer? Not only are the little ones going back, but college students are starting too. What can they use to stay up for a late night study session? You don’t want them using sugary, caffeine-filled drinks that aren’t healthy. So I have BoomBoom Nasal Inhaler. It is a healthy way to give you energy, focus, and boost your mood. How does this inhaler work? 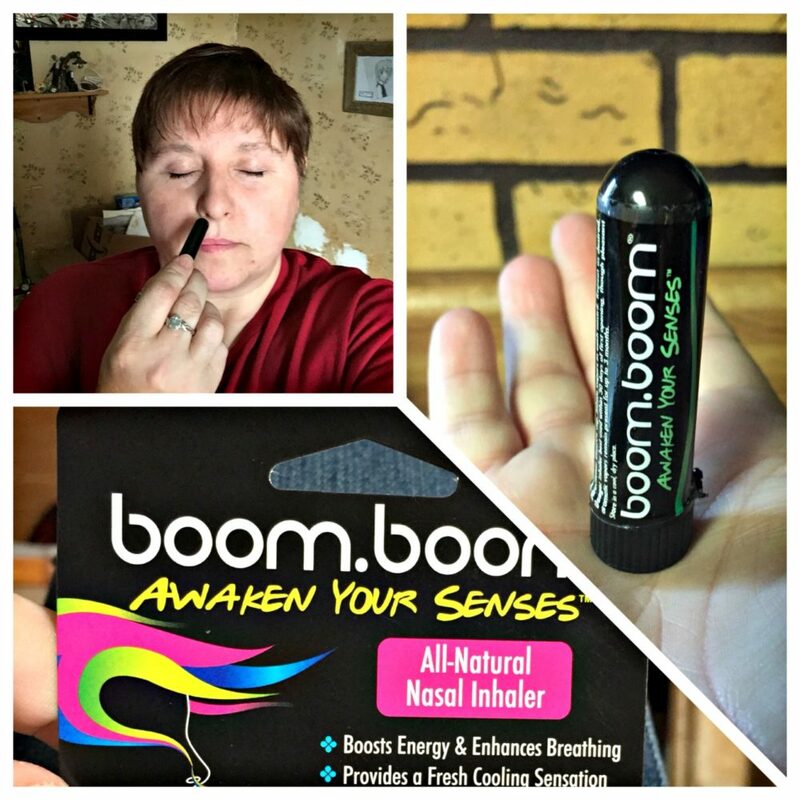 BoomBoom is infused with essential oils that are proven to calm, focus, etc. This is the perfect time of year to start using it. You simply use the nasal inhaler like you would any other one. I received the “Wintermint” – Awaken Your Senses inhaler, and it is strong! I couldn’t quite put it in my nose, but just smelling it near my nostrils did the trick. It has such a minty, yummy, vibrant scent. I noticed I would use it even when I was just sitting on my couch watching television. BoomBoom has quite a few different scents that they offer. They also have buzzing lip balms and organic oil blends. How cool is that? I’m sure, as you know, scent can have a big effect on our bodies and our minds. Have you ever smelled something and it brought you right back to the actual situation? I know I have! My Mom used to make this special pasta when I was little, and every time I smell spaghetti sauce, it brings me right back. It is amazing how much a scent can change our moods too. An example would be in the morning when you are half-awake, you get into the shower and use the minty, tingling shower gel. It invigorates you! Pretty soon, you are dancing in the shower. That is what BoomBoom does for you. So when you send your kids back to school, what are you going to fill their backpacks/college dorms with? Terrible sodas, sugary energy drinks full of caffeine, or something that is completely healthy for them? I choose to use BoomBoom Nasal Inhaler, and I hope you do too!